Just when you thought you were beautiful and have a flawless skin, you got tanned and ruined it all. Sunscreen and water are the two things that we always must have around, especially in summers. But, due to dramatic changes in the environment, both of these have become vital, no matter what the season is. In today’s world, we all know the importance of sunscreens, but did you know these 8 tips and facts can really boost your skincare regimen? Read on! You might have seen a lot of brands using Vitamin A in their sunscreens. However, research proves that Vitamin A can speed up the process of developing skin cancer. 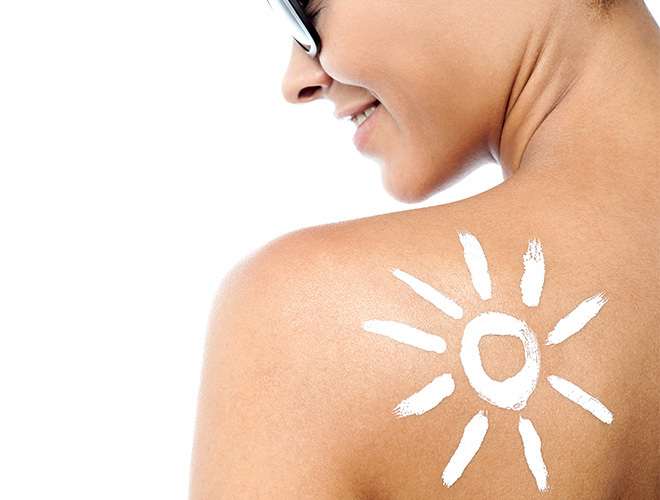 Vitamin A isn’t the only controversial ingredient slipped into some sunscreens. Oxybenzone and octinoxate, common block chemicals, are linked to allergic contact dermatitis and photocontact dermatitis. A sunscreen is never long lasting and it eventually melts away after 2 to 3 hours. Research says that there is no sunscreen that can actually work more than 3 hours. You need to reapply the sunscreen once again after spending 2 hours under the sun and the process should be repeated if you are going to stay outside for more time. A shot glass – that is how much sunscreen you need to apply. Studies and experts suggest that you should be wearing sunscreen even when it is not hot and you are not stepping to any of the beaches. This will help to keep your skin safe and healthy. Also, do not forget to rub it properly and let it get absorbed properly into the skin. If you think SPF is just an eyewash, and pertains more to the cost of the sunscreen, and not actually to the protection provided, you are mistaken. SPF matters and it is recommended to use sunscreens with sufficient SPF each time you step out of the home. Also, you can buy two sets of sunscreen – one with lower SPF and one with higher SPF. The lower one can be applied when you are at home and for low sun exposure. The higher one, obviously, needs to be used when you are going out at peak hours, or are going to stay out for longer periods. Again, regardless of the SPF, don’t forget to reapply. Many people think assume that sunscreen that are actually thick in texture would lead to acne and clogged pores. But, a good sunscreen with no hazardous elements in it will never affect your skin. Also, these days, most of the brands offer sunscreens meant for specific skin concerns like acne, oily skin, dry skin etc. Even though you have the expiry date mentioned on the packaging, it is not necessary that your sunscreen will stay efficient for that long. Due to improper storage or extreme bacterial reactions, your sunscreen might expire before the actual date. An expired sunscreen can break down and separate all the time. You can differentiate the two liquids when the sunscreen is expired. Using expired sunscreen can harm your skin in the worst way possible, so make sure you keep an eye on the changes in texture, consistency etc. If not labelled properly, sun lovers can be lured by the false sense of protection. Make sure you read and decipher the labels carefully. As an aware consumer, do not let any brand fool you as using wrong products in the long run might ruin your skin. Makeup and daily moisturizers with SPF will protect your skin if you load them on and reapply every 90 minutes. Also, there are good quality makeup products that can provide coverage and protection at the same time. Hence, you can easily wear makeup with SPF. However, it is due to UVA and UVB that skin remains healthy and does not get burned. It’s about time we realised the importance of sunscreens, especially women who need to stay outside a lot. Thank god for makeup with SPF, even though it usually does not photograph well. … which makes my skin glow like anything … and is sweat proof as well …. can I review that on imbb? ?